I’m a huge fan of the Shardlake series by CJ Sansom. The lawyer, Matthew Shardlake, lives and works in one of the most tumultuous – and exciting – periods in British history: the Tudor era. Having previously worked for Cromwell, Henry VIII and Queen Catherine Parr, this latest novel is set during the short reign of King Edward VI. Shardlake now works for the Lady Elizabeth (the future Elizabeth I) and is asked to solve the murder of her distant relative. The case takes him to Norwich and he becomes involved in one of the largest people’s uprisings of that period: the 1549 rebellion under the leadership of Robert Kett. Sansom’s attention to detail and descriptions really draw you into the era. The author has recently recovered from cancer and it’s a delight to be reading a new Shardlake novel. I’ve been wanting to get this book for ages – even before it was published. 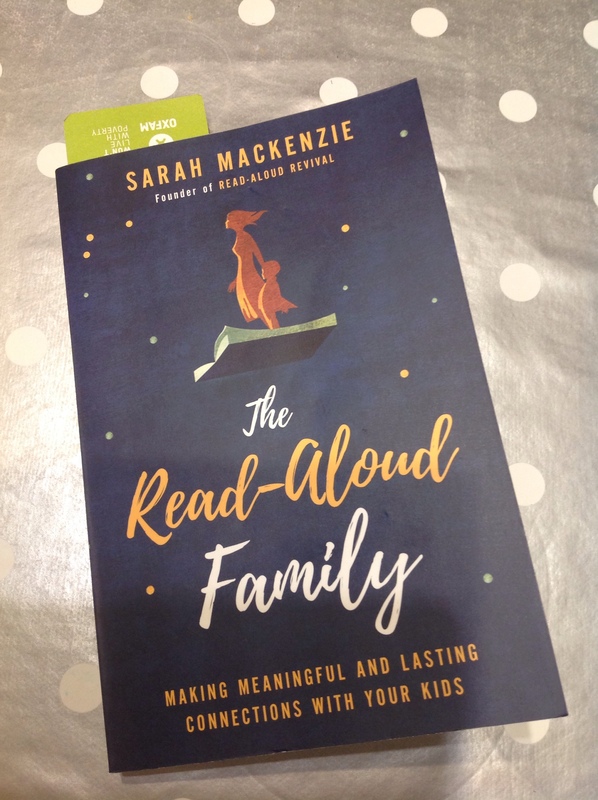 Sarah MacKenzie is founder of the Read Aloud Revival, which emphasises the importance of families reading together. She believes that reading to, and with, your children is key not just to their academic success, but also to the emotional well-being of all. 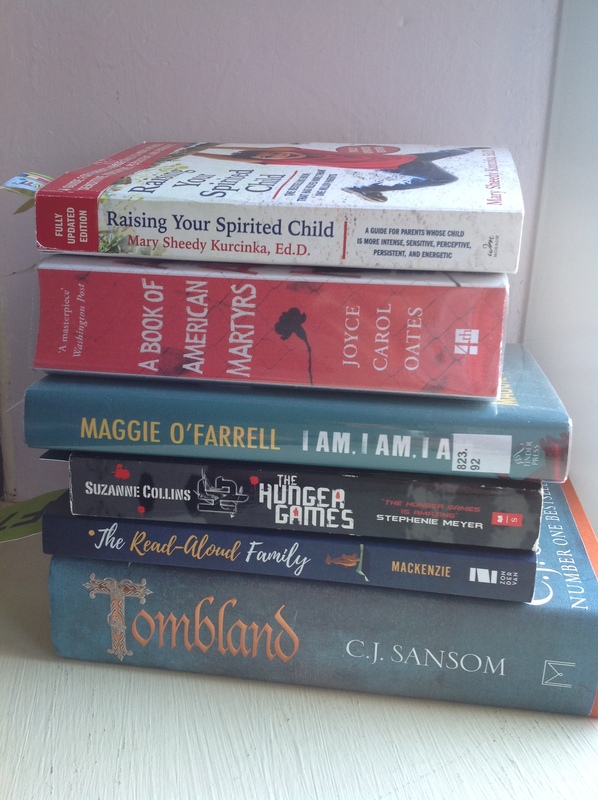 I have always enjoyed reading with my children and have been feeling sad that, as they get older, books have become less a part of their lives 😦 My 16 year old – who used to devour every Jacqueline Wilson novel – barely reads now, and even my 12 year old hasn’t picked up a book for ages. I know that screens have replaced books, which makes me feel very sad, but I’m determined to keep reading going with my 12 and 10 year olds. Sarah’s book is full of lots of tips of how and when and what to read with your children and I hope to use some of them. I loved The Hunger Games the first time I read the series. Although the films are enjoyable, the books reveal more and provide a deeper understanding of the life of Katniss Everdene and the Dystopian country of Panem. I am currently reading this aloud with my 10 and 12 year olds and we are really enjoying it, especially the 12 year old who, as I mentioned above, rarely reads now. Although classed as Young Adult, by reading to the girls I can choose to edit any scenes that are too grown up. So far this hasn’t happened and, in fact, we’ve had some great conversations about the plot, characters and themes. I found this novel by chance at the local library and the tale immediately grabbed me. However, due to the arrival of the other books in my pile, it has taken a back seat. So far, the novel tells of the murder of a doctor working in an abortion clinic in the US. The opening pages are quite shocking and I expect this to be a timely read on a subject which is a controversial one in the US. I managed to get this book second-hand via Amazon and, already, I have covered it with scribbled notes and post its. I have a daughter who is clever, funny, loyal but with big emotions which sometimes swamp her (and us as a family). So far this book has shown me that we are not alone in parenting a strong-willed, emotional and sensitive child and has provided some really useful strategies to engage with her and help to create a more harmonious family life. What are you currently reading? Do you find that the darker evening s make you want to snuggle in bed and read a good book? My reading pile definitely increases in the winter months!